Chinese New Year is the first day of the New Year in the Chinese lunar calendar which differs from the Gregorian calendar. It is also known as the Spring Festival or the Lunar New Year and every year is represented by a zodiac animal sign. 2019 we at D’Perception (D’Perceptionites) usher in the year of the PIG with a “Huat-ppening” celebration organized by our Human Resource team for our D’Perception Group on 21 February 2019 at Yan Palace Restaurant to celebrate the lunar new year in an elaborate cultural Chinese fashion. 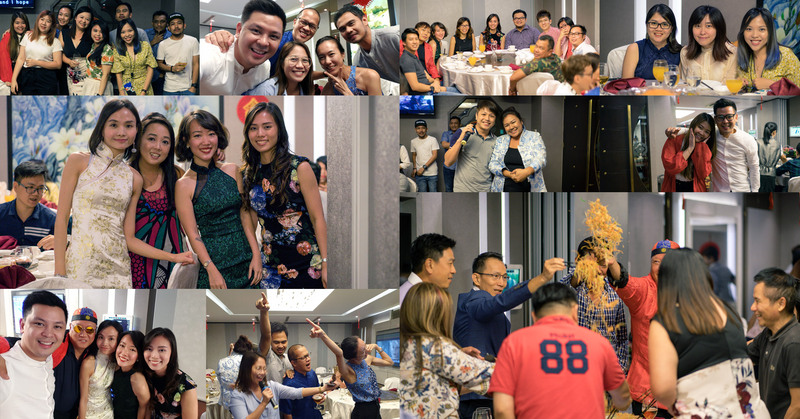 As part of the CNY tradition everyone was encouraged to come fully dressed in fashionably Chinese outfits and the night was lifted with lohei before “pigging out” with a scrumptious Chinese cuisine that followed. Our MD, Mr Wilson Lee rara-ed the crowd to unleash our hidden superstar talent in a karaoke face-off amongst teams. It was a very shy start but eventually shyness gave way to full blast no holds barred mini-concert. Everyone enjoyed so much that we adjourned to our regular joint for more karaoke part two. Everyone had fun like we always do as we believe in “working hard and playing hard”. We wish everyone a Prosperous, Healthy and Peaceful Lunar New Year!